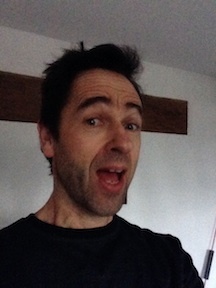 Facial Exercises as recommended by the NHS to strengthen muscles of the face. Face Exercises are great for you if you believe in the power of your body. When we think of working out and muscle building, our faces are rarely considered. Yet our face is made up of muscles and ligaments just as the rest of our body. This soft tissue is no different from the rest of your body and can be conditioned, strengthened and built up through training. Face training exercises can be easily learnt and can help regain muscle lost as a result of the ageing process.Your newly conditioned muscles will then strengthen tendons and ligaments and all work together to help you look good. If you are into Botox then this is definitely not for you. This training is the exact opposite. Botox paralyses the muscles, leading to not just muscle wastage but also, in time, possibly gradual loss of bone density due to the forces on the tendons and bones being reduced. I am of the opinion that using Botox can in the long term accelerate the ageing process of the face. But that is my opinion and I am a Quirky Personal Trainer that believes our body has all the resources it needs to adapt, repair, strengthen and look good. Facial exercises strengthen the facial muscles and can pull everything back up to near where it should be, tightening to give a less tired and more youthful look. Once a few improvements are seen this will make you feel good and you will want to do more and more. When facial exercises are combined with diet and lifestyle changes you will get great results that can be built upon and enjoyed for years to come. This is for men. Women can be upfront about asking for face training yet men can be a bit more reticent to enquire. One benefit of having a gay personal trainer is that you really can ask for anything and not feel at all awkward. I do it all myself and am only too happy to help you gain the benefits. Face training can help us all look better, initially looking less tired. If training is continued for any length of time you will gain a more youthful appearance as everything is pulled a bit tighter. The face training can stimulate different muscles to improve - depending upon whether a subtle lift is required for a youthful look or a stronger more masculine look is required. Our face has muscles, tendons and ligaments that respond to demands placed upon it by getting bigger and stronger. Bones will also improve if stimulated and the face training exercises are something you can do anywhere, and need no equipment. It's all too easy to train some areas of our body whilst neglecting others – but your face is never covered by clothes. Equally when we first walk into a room body language will be one of the first factors that people make judgements upon. So before we think about just getting big muscles – posture or facial exercises can make us look younger and more youthful. The working muscles will need a supply of energy and oxygen delivered by the blood. The more the muscles work the better the blood supply needed, so the body will also improve the blood flow to the face. This wont be that obvious but you should start to notice your complexion looking healthier than ever - especially if the face training is combined with a healthy diet, less bad things and more sleep. Gay Personal Training can help you with all of these. How the natural face lift has helped me - before and after pictures.